When is a New Girl not a New Girl? 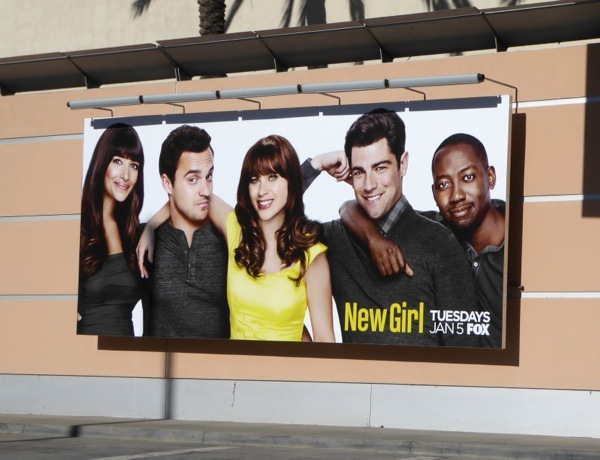 When that girl is Zooey Deschanel and she's returning for a third season of her hit comedy, that's when. Yes, the kooky doe-eyed 'Jess Day' is back with her L.A. pals after two seasons of getting to know each other better, and some even more intimately. Although apparently 'Friends don't let friends do friends'. 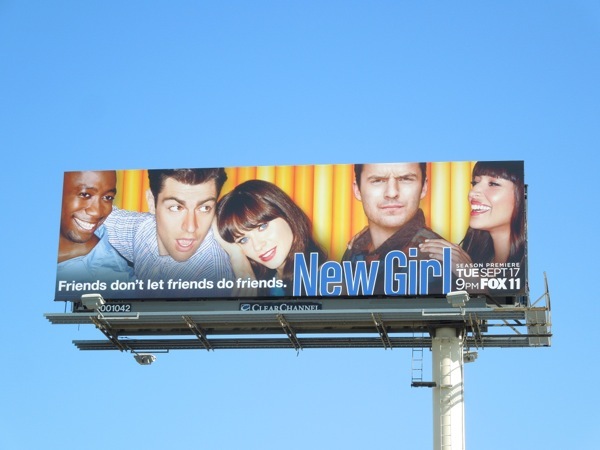 How's that working out Jess, Nick, Winston, Schmidt and Cece? 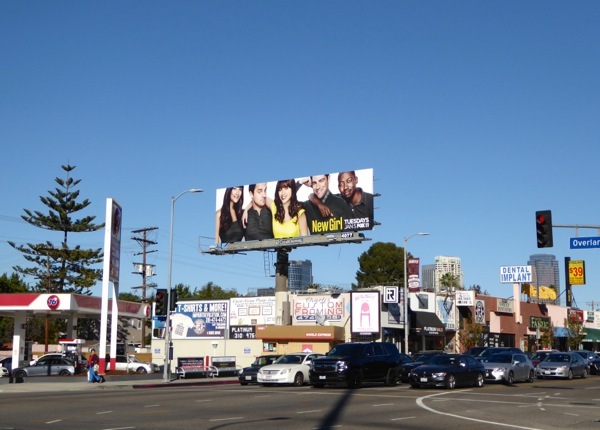 This season three billboard spotted above La Brea Avenue on August 23, 2013 retains the show's trademark yellow background, which really stands out against the Southern California blue skyline. 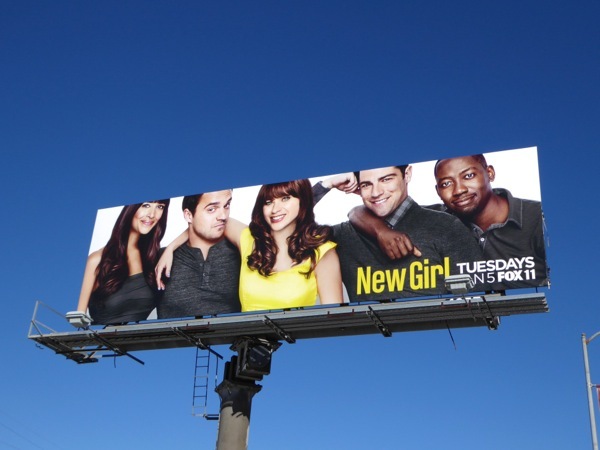 If you're a fan of the show, be sure to also check out these billboards for New Girl season one and two from around Los Angeles and New York City. 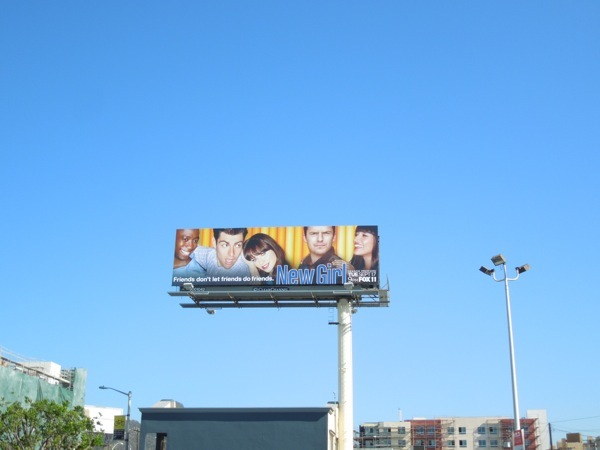 UPDATED: If you're a fan of New Girl, here's also the season five billboard snapped along L.A.'s Pico Boulevard at Overland Avenue and outside Fox Studios on December 12, 2015. 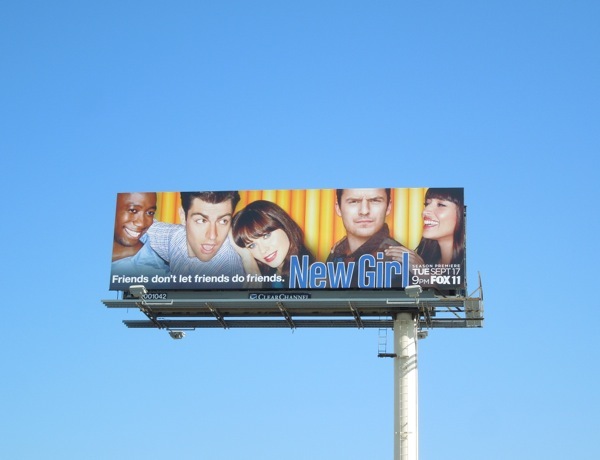 The gang of friends may all be in the fifth season promo posters, but Zooey Deschanel will be absent for five episodes whilst her character Jess is on jury duty to cover for the star's maternity leave after having her daughter, Elsie Otter.